We’ve expanded our range of cables and wiring options over the last few weeks, and thought we’d take the time to let you know about it. First off, we’re now carrying a larger range of stepper motor cables, including longer (150cm) and shorter (50cm) cables, and we’re now offering all stepper motor cables in both sleeved and unsleeved variants. We’ve also tidied up our website a little, and combined all of our motor cables into the one page – with options for length and sleeving. You can find the updated page with all these cables here. 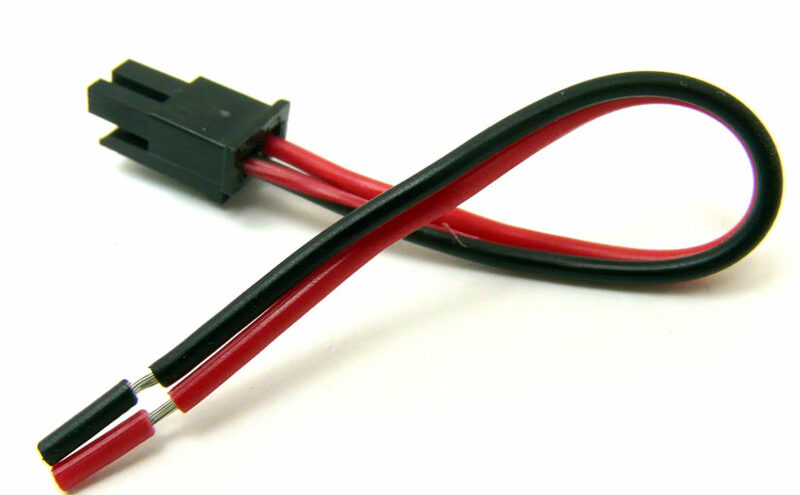 We’re also now carrying cables that match E3D’s fans, thermistor cartridges, and PT100 sensors, making it easier than ever to get your printer’s wiring up to scratch. We’re carrying these cables both in 100cm lengths (which is what E3D include with their products) and in 150cm lengths, for those who have big builds to wire up. If you like the idea of modular cables, but already have fans or aren’t running E3D gear, we have you covered with our matching DIY pigtails – which can easily be spliced onto any fan or thermistor you’d like to make ‘plug-and-play’. Great addition to your ranges and the cables lengths are perfect. Do you or will you, be carrying just the plugs and sockets? Thanks Richard! We carry little kits with the control board side connectors, but don’t yet have connectors for the motor side – we’re looking at it, but they’re trickier for people to crimp, so we’re not sure yet. Thanks for the suggestion though, we’ll make a note of it!